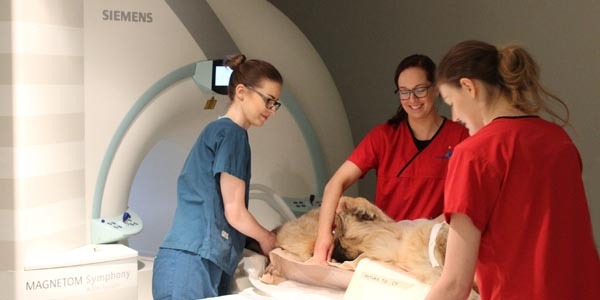 Senior Clinician in Medical Oncology Michael Macfarlane with Belle – a patient being treated for lymphoma at Fitzpatrick Referrals. This is a spectrum of diseases including low grade lymphoma, high grade lymphoma and large granular lymphocyte lymphoma (LGL). This disease can, therefore, vary from something which cats can live with for some time without illness to a rapidly progressive and fatal condition. Although this may seem obvious, there is surprising variability to the type and severity of signs shown by cats with this condition. Vomiting, diarrhoea and/or weight loss are common however constipation is also seen reported. There may be subtle or even no signs at all. Some patients will be collapsed, but the majority of cats we see are as bright as ever when diagnosed. The duration of signs is very variable- some cats only have a couple of episodes of vomiting and be otherwise well, yet can have quite advanced disease and others can be severely affected. I have seen this disease in cats under a year to 18 years old! The message here is to have this condition on your radar, especially in any cats with otherwise unexplained weight loss, even with no GI signs as early diagnosis is preferable. On physical examination there may be palpable thickening or a discrete abdominal mass. 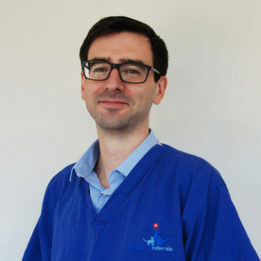 In other patients there may be limited or no abnormalities, with changes found only on imaging (typically ultrasound). The next step is to sample the abnormalities. The best way of achieving this is dependent on the location and presentation of the disease. The least invasive method is ultrasound guided FNA for cytology. Our preference is to sample enlarged lymph nodes, which is less risky than sampling the intestinal wall. The intestinal wall can be sampled if thick enough and accessible. The yield of any ultrasound guided FNA is dependent on the operator’s experience. Often, this cytology result will be enough. We do not type feline GI lymphoma as it is unlikely to change our approach. If the cytology is equivocal, then a PARR test can often be performed to greater enhance the suspicion either way. If cytology is not diagnostic or the location of abnormalities precludes its use then biopsy and histology is required. Endoscopy can also be used for cats with gastric, duodenal or colonic lesions, it is important to determine if the thickening is affecting the inner intestinal layers as if the thickening is only of the muscularis, an endoscopic biopsy may not be useful. 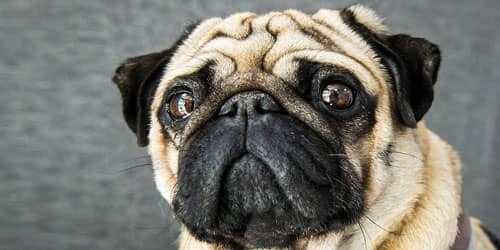 Surgical biopsy is our last resort used only in cases where we feel that the surgery itself is likely to help the cat clinically or we have exhausted the other options. Cases in which this may be an appropriate diagnostic tool and treatment would be for solitary masses and for cats with obstructive disease. 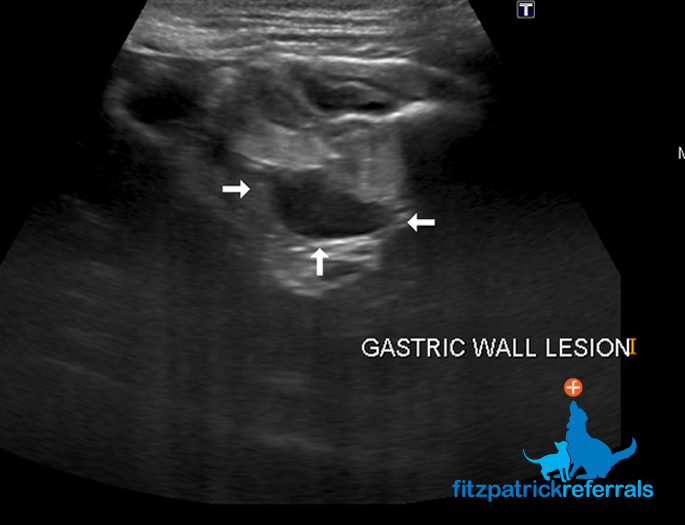 Ultrasound image from a cat with a gastic wall lesion, consistent in appearance with lymphoma – with a loss of the normal wall layering. 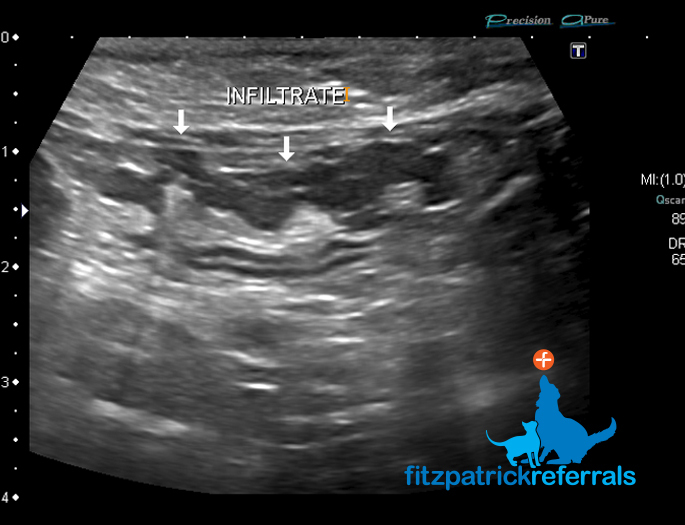 Ultrasound image from a cat showing an infiltrate in the intestine resulting in a loss of wall layering. Cytology from a lymph node gave a diagnosis of high grade lymphoma. The prognosis is extremely variable for this spectrum of disease. 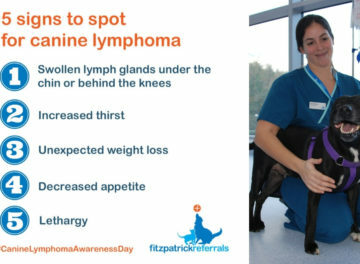 It is very dependent on the type of lymphoma – so ensure that if your lab reports a result of lymphoma that it includes if it is high grade, low grade or LGL. What treatments do we have available? In most circumstances the treatment for low grade lymphoma is chlorambucil and prednisolone with a favourable prognosis. There is some chance of progression with some cases of low grade transforming to high grade lymphoma. The median survival for cases of low grade gastrointestinal lymphoma is around three years. For high grade lymphoma, surgery can be appropriate if there is a discrete singular mass or if there is obstruction and or perforation of the GI tract. This is uncommon however as generally the disease is diffuse and chemotherapy is therefore indicated. This takes the form of either a COP or CHOP based protocol. The median survival here is around 6 months, but importantly there is considerable variability between cases and there is a reasonable chance of long-term disease control. The prognosis for cats with LGL lymphoma is unfortunately very poor. The treatment recommended is based on the clinical condition of the cat. If they are well enough, a COP or CHOP protocol is the treatment of choice. Which cases should be referred? With the spectrum of disease that we see, there are nuances to each case. 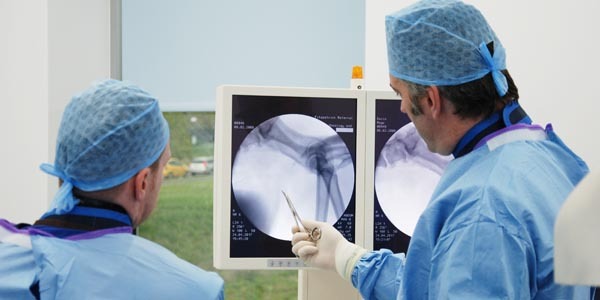 Our specialist imagers are very adept at sampling even subtle lesions to achieve a diagnosis. For those with a diagnosis and for families who would like to consider all the options at the outset, we are happy to take the time to discuss these at length. 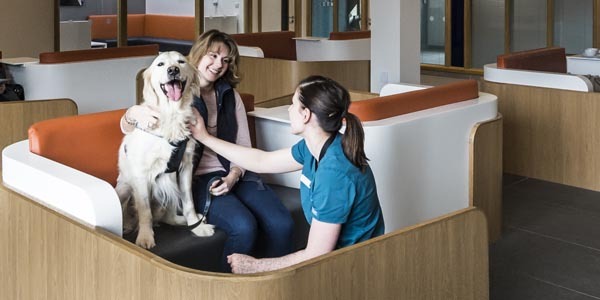 We are then able to share the care with your practice if there is ongoing chemotherapy and it is something you are comfortable doing in partnership with us. Often, we may see the case back after a few weeks to restage the patient and document its remission status. We can also provide advice and care (remotely or at the hospital) if things do not follow the expected plan. Having this available will give reassurance to many families (and vets!). 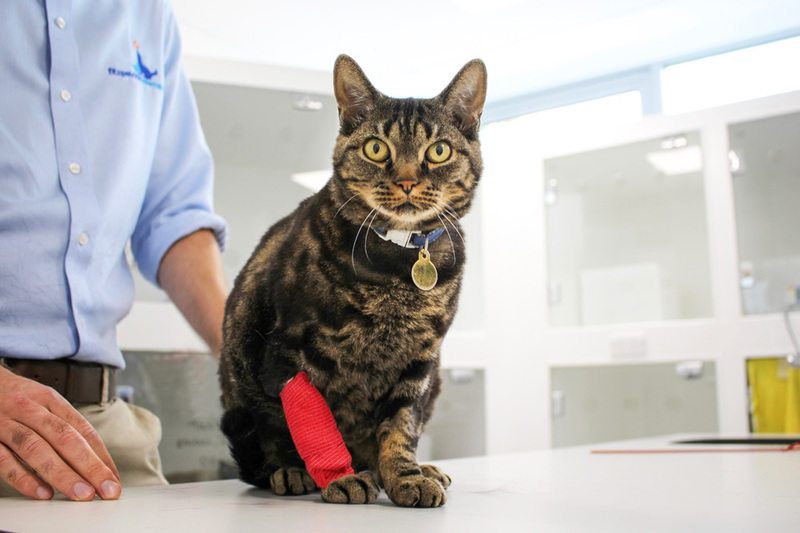 We are also able to see cats which have been treated in practice and relapsed or failed to respond. There are a number of alternate treatments and protocols, which if given to the right cat can extend a good quality of life for some time.